Loretta Hopkins studied music at The University of Edinburgh and Birmingham Conservatoire, where she gained a postgraduate diploma, generously supported by The South Square Trust, and continues to train with Raymond Connell. In competition, Loretta was a finalist in Birmingham Conservatoire’s Mario Lanza Prize and Vienna Conservatoire’s Internationale Sommerakademie opera prize. Opera roles include Mimi La bohème, Micaëla Carmen , Donna Anna Don Giovanni, and Countess Le nozze di Figaro (Dulwich Opera Company); Violetta (cover) La traviata, Donna Anna (cover) Don Giovanni (Winslow Hall Opera); Lisa The Queen of Spades (Park Opera); Adina, L’Elisir d’Amore (Midland Opera); Kate Pinkerton, Madama Butterfly (Lambeth Orchestra); Greta Fiorentino, Street Scene and Fox (cover), The Cunning Little Vixen, (Birmingham Conservatoire); a Sprite Fantastic Mr Fox and The Aunt Madama Butterfly (Opera Holland Park). Future plans include Fiordiligi Così fan tutte on tour with Dulwich Opera Company. Borja Gómez-Ferrer was born in Madrid and began his musical and singing studies at the Jesuit School choir under Don César Sánchez. While practicing public law he was awarded a scholarship to study an MMus at Trinity College of Music. During his studies Borja was chosen to take part in the TCM Mentor Scheme at the Royal Opera House and to perform in masterclasses with Robert Tear, Ian Page, Rosalind Plowright and Simon Keenlyside. He also performed as a soloist in numerous occasions including ​Judas Maccabeus and Chandos Anthems for the London Handel Festival under Laurence Cummings, ​Bach ​Johannes Passion ​under Richard Egarr and Mozart ​Great Mass ​in ​C minor ​conducted by Sian Edwards. For the last few years Borja has been retraining his vocal technique with Cathy Pope which has unveiled a more dramatic voice type. 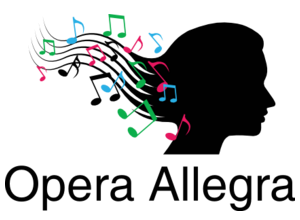 Most significant recent operatic roles within this new voice category include Alfred Fledermaus under David Syrus, Turiddu​ Cavalleria Rusticana a​t the Reform Club and Pollione ​Norma ​with Aylesbury Opera. Alison Thorman worked as a lawyer. She has studied voice privately with Susan Waters and is coached by Jennifer Partridge. She has attended performance courses at National Opera Studio, Birkbeck College, CityLit and Morley College and participated in Oxford Lieder masterclasses with Sophie Daneman, Henry Herford and Sarah Walker. Her opera roles include Aunt Norris (Dove Mansfield Park), Marcellina (Mozart Le Nozze di Figaro) and Mama Lucia (Mascagni Cavalleria Rusticana), Larina (Tchaikovsky Eugene Onegin), Witch / Mother (Humperdinck Hansel und Gretel), and Marquise (Donizetti La fille du regiment). She also enjoys singing art song and has performed a number of recitals with pianist Simon Howat. Simon grew up in South Buckinghamshire. He studied music at Christ’s College, Cambridge, then followed this with post-graduate training as an accompanist at the Guildhall School of Music and Drama, London, studying then/subsequently under: Graham Johnson, Paul Hamburger, Robin Bowman, Gordon Back, Nina Sereda and Norman Beedie. Over the last twenty-five years, Simon has built up a busy portfolio career, both as an accompanist/solo pianist/piano duettist, and as a peripatetic piano-tutor for the Buckinghamshire Music Trust. He has given acclaimed performances of concerto repertoire including the Grieg A Minor, Beethoven’s Emperor and Gershwin’s Rhapsody in Blue. Simon also works as a music examiner across England for ABRSM. He is the long-standing pianist for the Wooburn Singers choir in Bucks, and has regularly accompanied Alison Thorman (Mère Germont) in recitals.